The Sto. Nino is one of the most loved representations of Our Lord. 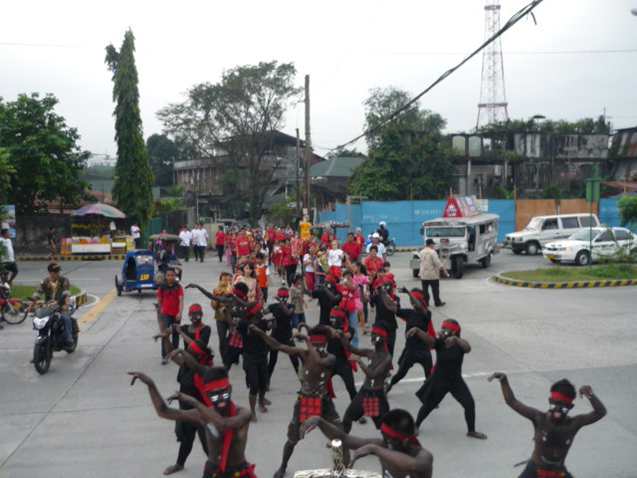 In fact the Philippines has the distinct honor of being the only country in which this feast is celebrated. In our parish, we celebrated the feast by inviting the parishioners to bring their Sto. Nino images to the Sunday masses to be blessed. 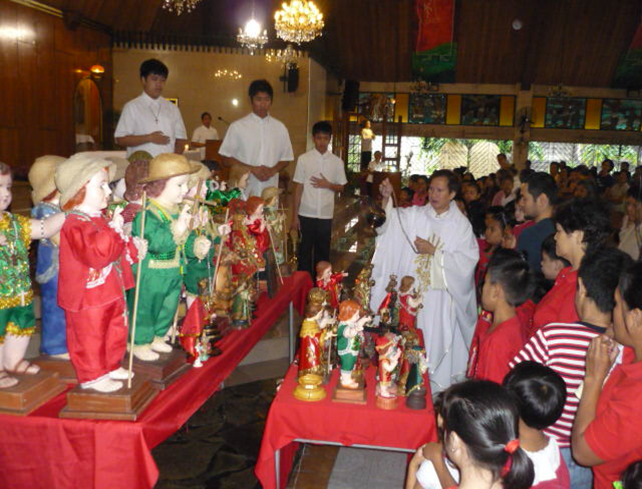 The response was very heartening as we saw in the many statues of the Child Jesus in all sizes, color and get-up that were lined up near the altar. The parishioners were also invited to join the procession dressed in red. The Parish Youth Ministry spearheaded the activity as they had done for the past couple of years. They provided a lively and participative atmosphere, even going to the extent of painting themselves black, mimicking the first natives who were introduced to the Christ Child. They led the procession of devotees as they danced their way through all the areas of the parish to the beat of Ati-atihan music.